Kenny Hibbitt was one of Wolverhampton Wanderers’ finest ever midfielders and was at Molineux for Wednesday’s memorable win over Chelsea. He will be back at the stadium tonight for a special honour, so we have chosen this time to catch up with him and quiz him at length, with part one of our feature focusing on his big evening. 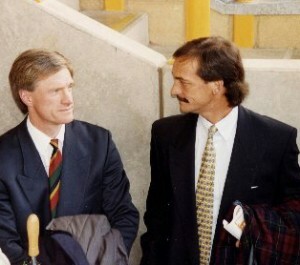 Kenny Hibbitt (right) with Mel Eves at Molineux in the early 1990s. Q: Congratulations, Ken, you’re about to be inducted into Wolves’ Hall of Fame. How do you feel about it? A: Well, I’m absolutely thrilled. It’s something I wasn’t expecting and, when I see the names of the people who have been inducted before me, I feel privileged to be joining what I consider to be a very elite group. Q: How and when did you hear about it? A: I received a letter about two months ago from the club, saying that I had been proposed for induction into the Hall of Fame, and asking if I would be able to attend the dinner on January 7. The date was prearranged and, fortunately, I was available. Q: Are you looking forward to the evening? A: I’m looking forward to seeing one or two old friends. I don’t know what to expect because it ‘s the first one I have been invited to. I don’t know what the format is. If you remember, I did a pre-taped interview about you last year when you were inducted and, when I was covering a Wolves game recently in my role as a Referee Assessor, I was told that Bob Hall had been doing some similar interviews with one or two of my former playing colleagues. I believe one of them was Andy Gray, so I’ll be interested to find out what he has said about me! Q: You and Derek Dougan are being inducted at the same time, so that will be five members of the early 1970s team already in the Hall of Fame. What are your best memories of that team? A: I have fabulous memories, in particular the success of getting to the UEFA Cup Final in 1972. 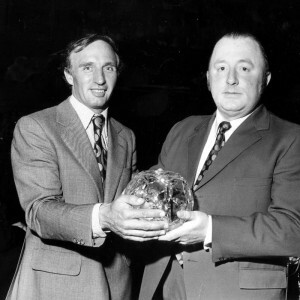 We were only young lads, just 21 in my case, and we were involved in so many competitions. In that era, there were three major domestic competitions and we were there or thereabouts in all of them. We won the League Cup in 1974, we were in semi-finals and we did well in the League. We played a lot of games becaue we were always involved. They were great times and, from my point of view, there was the fabulous experience of seeing other countries, places I had never dreamed of visiting. Going on a plane and playing in all sorts of conditions was totally new to me. We had snow in Carl Zeiss Jena, playing behind the Iron Curtain before Germany was unified. What a wonderful experience for young lads to be able to see all these places. And then we went on tours as far afield as Australia, New Zealand and America. We travelled the world. They were countries I’d only seen on maps. Even for domestic matches, we did a lot of travelling. In the early 1970s, we were virtually living out of suitcases. They were fantastic times. I also remember Bill McGarry making us stay at the Mount Hotel one Christmas Day. The staff had to open the hotel up to let us in. I took some Christmas cake with me. Q: Talking about McGarry, he wasn’t particularly liked by the players……what are your thoughts now of him as a manager, particularly given your own subsequent experiences as a manager? Bill McGarry (left) in the spotlight - but not in Hibbitt's affections. He was, however, highly respected. A: He was from the Ron Saunders school of managers, a bit of a Sergeant Major. I didn’t like the man but I respected him, and the respect comes from the fact he made me the player I was. He gave me the opportunity to play in the first team and he taught me discipline. That is something I took into management. I like discipline. I believe it is crucial for any team. I had it as a child, I had it as a teenager and, when Bill McGarry came, we had it at Wolves. We had discipline on the field of play and, if you weren’t doing what he was asking, you got a rollicking. When you walked past him, you said ‘good morning.’ You respected him for his position. Unfortunately, I have to say I don’t see too much of that now. After I’d been at Walsall for four years, McGarry advised me to get out while we were doing well. He was right because in the end I didn’t have much choice! 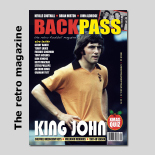 He was a very key part in Wolves’ success in those days and there was the odd time that he showed he was human. I can remember vividly his reaction when we won the League Cup in 1974. You and me had scored the goals but he ran straight past us, with his sheepskin coat flapping, to hug Gary Pierce. I had never seem him so affectionate. In the seven years I was with him, I think he only ever said ‘well done’ to me once. But we all knew, by the fact he picked us week in week out, that he was looking after us anyway. All any of us wanted to do was play in the first team. By playing you, he was saying that he looked upon you as one of his team. Q: Final question for now: Do you wish you were still playing? A: I would love to play now, simply for the money. In the seventies, the basic salary wasn’t great and we had to get in the first team to earn appearance money and bonuses. The money now is way beyond anybody’s dreams. A player of our era would never have thought that, by 2010, somebody would be earning a quarter of a million pounds a week playing football. In another sense, I wouldn’t like to play now. From speaking to one or two of the Premier League managers, the players can’t go out, can’t go to restaurants for example, without being pestered or photographed. They’ve lost that ability to have what we would call ‘a normal life.’ We were able to mix with the public, without being overrun by them. Now, that’s just not possible, so they are paying the consequences, I suppose, for their high wages. So, to answer your question – yes for the money, but no as far as the fun of the game is concerned. JR: Thanks, Ken, my congratulations once again and have a great evening. 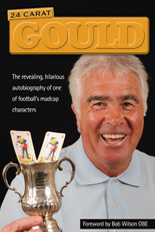 * The questions kindly submitted to us by supporters will be put to Kenny in part two of this interview. Posted on: Friday, January 7th, 2011.